Located in the heart of Niagara wine country, Legends Estates Winery offers breathtaking waterfront views amongst acres of vineyard, and is the ideal setting to make your wedding day even more memorable. 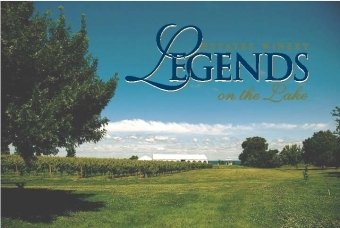 At Legends Estates Winery we pride ourselves on offering unique and memorable experiences. Whether you are hosting a Bridal Shower, Holiday Party, Corporate Meeting or Private Tour and Tasting. The property offers a base for unique varietals such as Malbec, Petit verdot, and Semillon. We look forward in your visit.